AAFCS leads the Alliance for Family & Consumer Sciences, a growing coalition of more than 20 organizations whose mission is to advance the value of family and consumer sciences globally. AAFCS provides members with useful tools, resources, and leadership and award opportunities that will help them successfully advocate for FCS programs and related policies. AAFCS provides resources family and consumer sciences educators can use to help demonstrate the value of their programs to key decision makers. A member can also request a letter of support signed by AAFCS leaders for his or her FCS program. Members can participate in a wide array of plans available through AAFCS' partnership with Forrest T. Jones, including student educator liability insurance ($25/yer for $1 million in coverage), professional liability insurance (starting at $99/year for $1 million in coverage), auto insurance, health insurance, long-term care insurance, and much more. Obtain your quote today! Through awards, AAFCS honors the achievements of our members, including the National Teacher of the Year, sponsored by Goodheart-Willcox Publisher. AAFCS supports graduate and post-secondary study in family and consumer sciences through national and international fellowships. Every year members compete for grants to support research studies in family and consumer sciences. 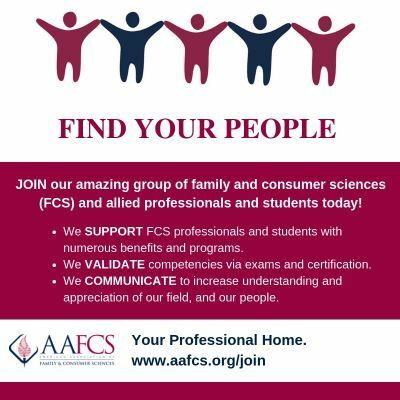 Membership in AAFCS is your gateway to support undergraduate study in family and consumer sciences. AAFCS members may subscribe at the Members-Only rate of $45 (Regular Price $144) to the quarterly Family & Consumer Sciences Research Journal (FCSRJ) and enjoy peer-reviewed university research on a variety of topics. Published four times a year, this peer-reviewed journal features scholarly articles, trends, issues, and practical information to help you in your career. A printed copy of each issue and/or access to online issues is included with your membership! Receive a Members-Only discount on books sold by AAFCS, including the Compendium Series. AAFCS members receive special year-round discounts on rentals for business or pleasure. Your Hertz CDP# 389280 is the key. Call 1-800-654-2210 or visit the Hertz website when making your reservation. Then present your Hertz Member Discount Card at the time of rental. Email membership@aafcs.org if you need a discount card! AAFCS Members save up to 25% off on major kitchen appliances. Includes top brands such as Kenmore, Bosch, LG, Samsung, KitchenAid, Whirlpool, GE, Maytag, Jenn, and Frigidaire. Call Brett Reeves at 214-529-1008. Members receive a significant discount below the non-member registration cost for the AAFCS Annual Conference and Expo. As an AAFCS member, you’ll save $100 on your certification fee. And, if you’re not yet a member, be sure to ask about the Initial Certification Fee & AAFCS Membership Package. Develop valuable leadership skills through involvement in your affiliate, our Leadership Academy, or other membership activities. Stay on the leading edge of your career with live and archived webinars on a variety of topics for members only! As a member, you are automatically enrolled in and receive all the benefits of your affiliate. Tap into our network of professionals by participating in AAFCS communities (in person and online). Upon joining AAFCS, you're also listed in the online membership directory accessible exclusively to AAFCS members. 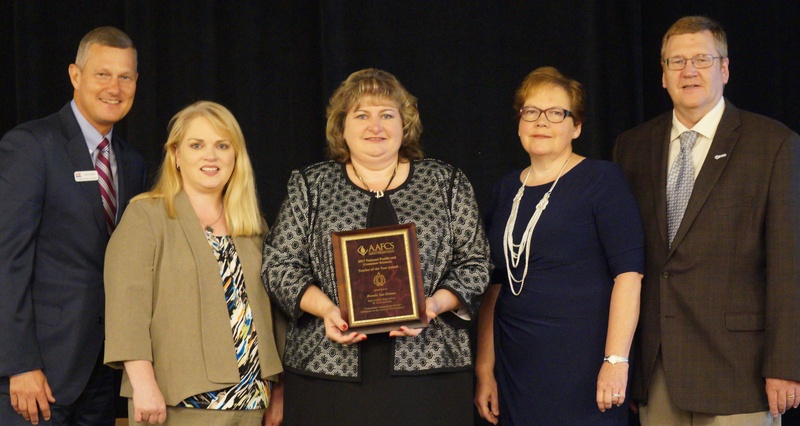 AAFCS is the sole accreditation agent in the United States for educational institutions and units offering programs in family and consumer sciences in higher education. Whether you’re searching for a new job or great talent, our online career center is the place to achieve your employment goals. AAFCS offers 11 pre-professional assessments and corresponding certifications in family and consumer sciences. AAFCS offers five professional competency exams and corresponding certifications in family and consumer sciences.